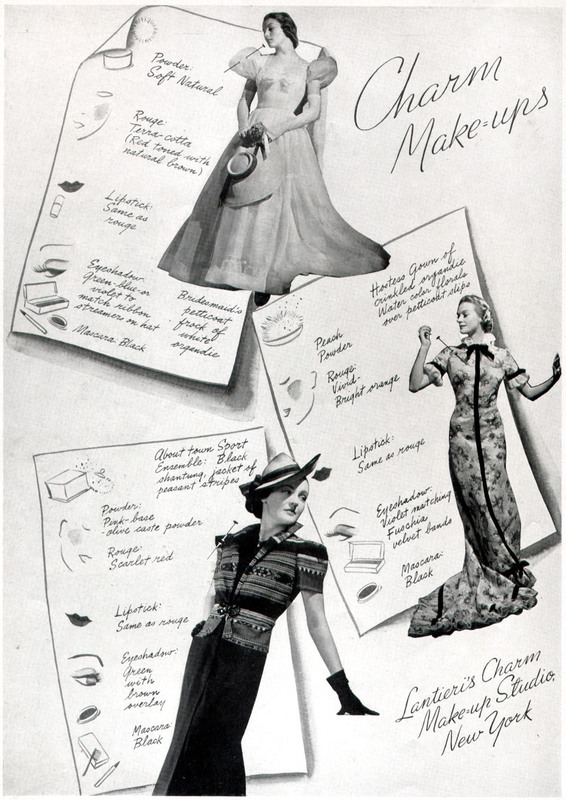 >Isn’t this spread of how to combine style and make-up superb? 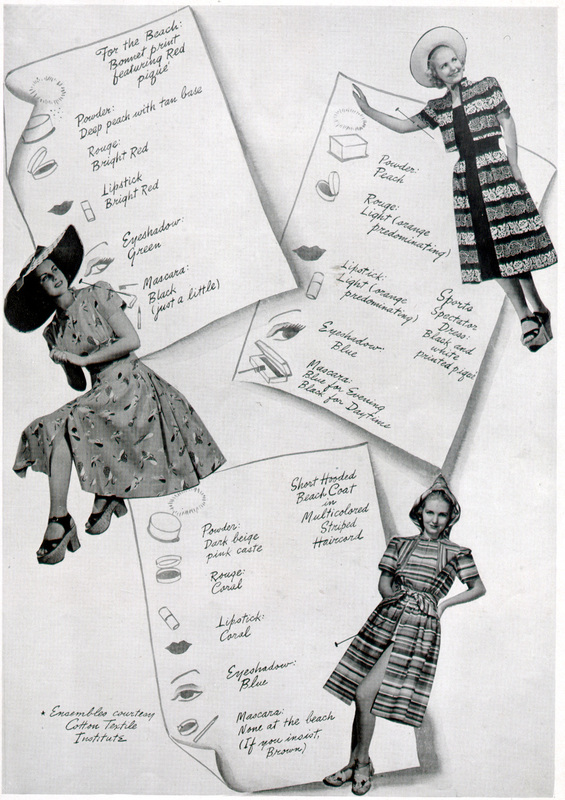 This is from The American Hairdresser, April 1938- and while it’s a little while until spring I thought it might provide some inspiration for the upcoming months and maybe give you a kick start on your spring sewing! Enjoy! Click on the images for larger versions that you can read. >This is great! Love the horizontal striped jacket and black skirt with the jaunty hat! >I love the first one on the second page. I need a huge hat like that! >Some very elegant outfits, indeed. Can't even choose a favourite. I love the first, third and fifth most.